The counter argument — that the 1 percent’s gains reflect distortions of the market, and losses for the rest of us — is pretty powerful. An academic heavyweight from Harvard has taken up the cause of America’s most affluent 1 percent. But his defense has done the nation’s rich no favors. 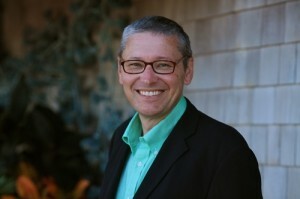 Harvard economist Greg Mankiw has made quite a splash with his spirited defense of the top 1 percent. His argument in a nutshell: Gains hoarded by the very rich amount to nothing more than an “entrepreneurial disturbance” in an otherwise egalitarian setting. High earners are high earners because they have made “significant economic contributions,” according to Mankiw — who goes on to proffer J.K. Rowling, Stephen Spielberg, and Steve Jobs as evidence.A lot of virtual ink has already spilled in response, much of it by the other contributors to the forthcoming issue of the Journal of Economic Perspectives that features the Mankiw essay. And the verdict, pretty decisively, is that Mankiw has it all — the backstory, the logic, the evidence, and the consequences — spectacularly wrong. Consider the central claim that the gains of the top 1 percent are all about the supply and demand of skilled labor, that “changes in technology have allowed a small number of highly educated and exceptionally talented individuals,” as Mankiw concludes, “to command superstar incomes in ways that were not possible a generation ago.” This claim has three large holes. First, Mankiw’s use of Rowling, Spielberg, and Jobs as examplars of the 1 percent is more than a little disingenuous. As Larry Mishel points out, drawing on the work of Jon Bakija and others, the 1 percent is largely populated by corporate executives and financial sector professionals, for whom the plaudits “innovator” and “significant economic contributor” seem somehow less apt. And, as Dean Baker reminds us, even the incomes of Rowling, Spielberg, and Jobs owe as much to government intervention — in the form of copyrights and patents — as they do to the genius of the market. Second, there is no evidence — at the bottom of the income distribution or the top — that education or innovation has that sort of payoff. John Schmitt and Jannelle Jones, most recently in a paper on the prospects of black workers, have tirelessly made the case that wages and job quality have plummeted across the last generation — even as the experience and educational attainment of workers has shown dramatic gains. And Mishel shows that the trajectory of top incomes runs far ahead of any reasonable educational benchmark. And finally, the counter argument — that the 1 percent’s gains reflect distortions of the market, and losses for the rest of us — is pretty powerful. In their contribution to the same Journal of Economic Perspectives issue, Mishel and Josh Bivens make the case that most of these gains, especially those flowing from a bloated financial sector and excessive executive pay, come in the forms of economic rent — income either generated through preferential status or income that exceeds the real market value of the service provided. Mankiw closes his paper with a number of other unsupported — and unsupportable — claims, arguing in turn that the rich are already taxed enough and that rising inequality poses no threat to either economic efficiency or social mobility. By this point his argument has a sort of “pay no attention to that man behind the curtain” tone to it. Once he equates social policy with involuntary kidney donations, the tired economic orthodoxy seems more like a furious distraction than any argument at all. Colin Gordon is Professor of History at the University of Iowa. For more on this issue, and the broader sources of our inequality, see our Inequality.Org interactive guide, Growing Apart: A Political History of American Inequality.